Companies that are involved in the manufacturing and selling of physical goods are required to record them as assets in their books and expenses at the time of their sale. Manufacturing companies usually deal with three different kinds of inventories which are materials, work in process and finished goods. Retailers only have to deal with one inventory which is merchandise. In all cases, a company has to sell inventories in order to make profits. Before it is sold, it serves as an asset for the company, however, after merchandise is sold, the cost coverts into an expense, called Cost of Goods Sold (COGS). The cost is then transferred from a balance sheet to an income statement via journal entry in bookkeeping terms. 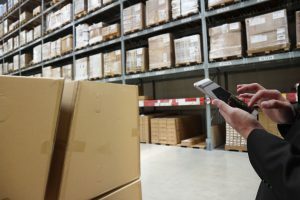 Companies maintain a significant amount of inventory to manage their day to day operations. However, it is an important asset which needs to be monitored closely. Storing too much inventory can cause issues related to decreasing cash flows, storage costs and losses in case the item turns archaic. Similarly, too little of it can result in lost sales and customers. Indirect costs or overhead costs that cover depreciation, factory maintenance, cost of factory management, electricity, etc. are allocated to inventory, depending on the production levels. Overheads are frequently assigned based on direct labor hours or a number of machine hours. Cost of Goods Sold basically represents the cost of goods or merchandise that has been sold to customers. Unlike inventory, which is mentioned on the balance sheet, cost of goods is reported on the income statement. All of the costs that are occurred in order to get the merchandise into the inventory and then ready for sale are included in the cost of goods. The cost of acquiring it from the supplier, shipping costs, and all other costs are included. Direct materials, labor, and overhead costs are also included in the cost of goods sold. For services, the cost of goods would account for labor, payrolls, and benefits. Basically, all of the direct costs that are associated with the production of the product is the cost of goods. It is important to highlight that goods that are not sold during the year and are still in inventory would not be included to calculate the COGS. Only the goods that were sold are included. There are basically three methods that are accepted by the IRS to move the cost from the balance sheet to the income statement. FIFO (First In First Out), LIFO (Last In First Out) and Average Cost are the accepted methods. They are exactly what the names suggest. First in first out means that goods that arrive first should be removed first at an original cost. It doesn’t matter if the cost of goods sold has increased for the new batch, you would have to record at an original price. Each cash flow assumption can be used in both of the systems mentioned below. Under the periodic system, the amount in the inventories account is not updated at the time of purchase. In fact, the account is only updated at the end of a year. This means that for the whole year the account would show the cost of last year’s stock. All the purchases related to merchandise are recorded in either one or more purchase accounts. At the time of year-end, the purchase accounts are closed and the stock account is matched with the cost of merchandise at hand. Under the periodic system, cost of goods sold does not exist in the account to record the sale of merchandise. It is simply calculated as beginning stock + new purchases – ending stock. You would not be able to calculate it while looking at a general ledger account. Under a perpetual system, the stock account is continuously updated. The cost of merchandise that is purchased from the suppliers is added to the account, while what is sold to the customers is continuously being reduced from the account. There is no room for purchase accounts under this system. The cost of goods sold account is debited at the time of the sale, exactly for the cost associated with the merchandise. For the sale of any merchandise, there have to be two recorded journal entries. Sales and accounts receivable are recorded as one entry while the other caters to the reduction of inventory and increase in the cost of goods that are sold. FIFO, LIFO and Average cash flow assumptions are combined with either perpetual or periodic systems to account for the cost of stock at hand. It is up to you to choose any one of them at your convenience.